PASADENA, Calif. -- Two prominent aerospace industry organizations are recognizing the contributions of NASA, especially the achievements of the team that landed NASA's Curiosity rover on Mars in August, with coveted awards. The National Aeronautic Association will present its Robert J. Collier Trophy to the Mars Science Laboratory Team of NASA's Jet Propulsion Laboratory in Pasadena, Calif., at an event in Arlington, Va., Thursday night. At an event in Washington on Wednesday, the team received the American Institute of Aeronautics and Astronautics Foundation Award. Several individuals from NASA were also honored by the AIAA. "It's wonderful to see NASA's people and their accomplishments recognized by the aerospace community," NASA Administrator Charles Bolden said. "In particular, the Curiosity landing was the hardest NASA mission ever attempted in the history of robotic planetary exploration. These prestigious awards are a testament to the dedication and hard work of the entire worldwide team." AIAA also conferred its highest recognition, the title of honorary fellow, on William Gerstenmaier, NASA's associate administrator for human exploration and operations and presented NASA's associate administrator for science, astronaut John Grunsfeld, with its AIAA National Capitol Section Barry Goldwater Educator Award. AIAA recognized Ray G. Clinton of NASA's Marshall Space Flight Center, Huntsville, Ala., and Laurence D. Leavitt of NASA's Langley Research Center, Hampton, Va., as fellows. 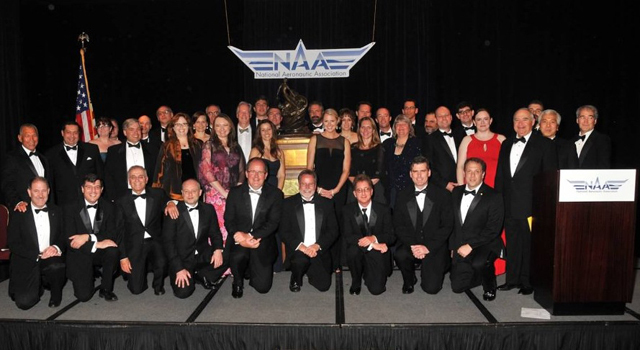 The National Aeronautic Association established the Collier Trophy in 1911 and presents it yearly to recognize the greatest achievement in aeronautics or astronautics in America. The AIAA awards recognize the most influential and inspiring individuals in aerospace, whose outstanding contributions merit the highest accolades. Past honorees have included Orville Wright, Neil Armstrong, the team that designed the space shuttle and the astronauts who carried out the first Hubble Space Telescope repair mission in 1993. 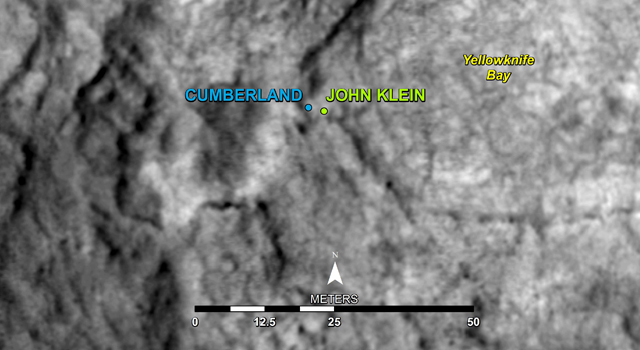 The NAA's Collier citation notes the Mars Science Laboratory team's "extraordinary achievements of successfully landing Curiosity on Mars, advancing the nation's technological and engineering capabilities, and significantly improving humanity's understanding of ancient Martian habitable environments." More than 7,000 people in at least 33 U.S. states and 11 other countries have worked on the Mars Science Laboratory mission. Curiosity, the laboratory's centerpiece, carries 10 science instruments to investigate the environmental history inside Gale Crater on Mars. In March, rover scientists announced an analysis of a rock sample collected there shows Mars could have supported living microbes in an ancient freshwater environment. 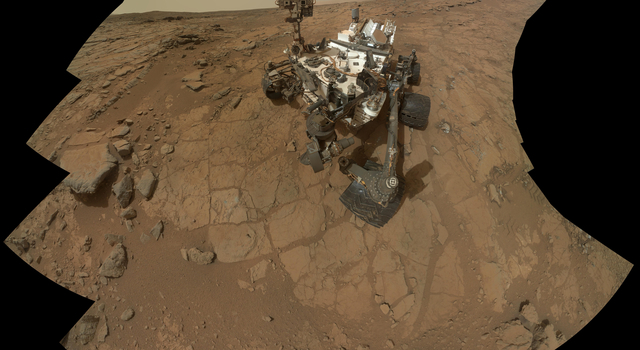 Curiosity's mission is expected to last at least two years. "The prestigious Collier Trophy is a wonderful recognition for Curiosity, a phenomenal engineering and science achievement that has captured the hearts and minds of children and adults across America and around the globe," said Charles Elachi, director of JPL. "It's an honor to do missions like this one on behalf of NASA and the nation." Two other teams from JPL that manage NASA spacecraft, the Dawn mission to the asteroid belt and the Voyager mission to interstellar space, were finalists for the 2012 Collier Trophy. "JPL is a hub of technological ingenuity, and we're honored that the accomplishments of multiple JPL teams have been acknowledged," Elachi said. JPL, a division of the California Institute of Technology, Pasadena, designed, developed and assembled the rover and manages its mission for NASA's Science Mission Directorate in Washington. 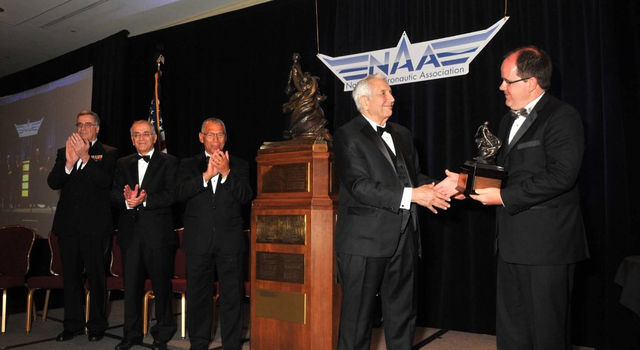 For more information about the Collier Trophy, visit: http://www.naa.aero/html/awards/index.cfm?cmsid=62. For more information about the AIAA awards, visit: http://bit.ly/12j3ey0 . For more about the Mars Science Laboratory mission, visit: http://www.nasa.gov/msl and http://mars.jpl.nasa.gov/msl . 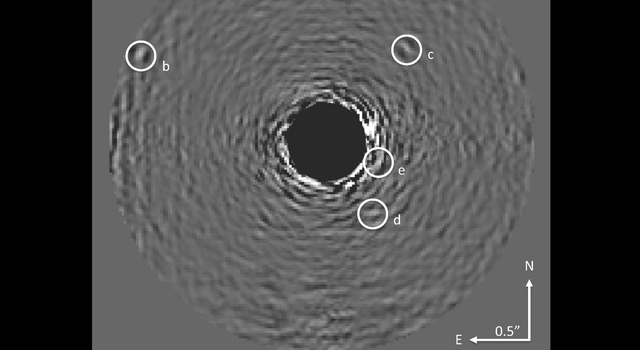 For information on other NASA missions and programs, visit: http://www.nasa.gov .